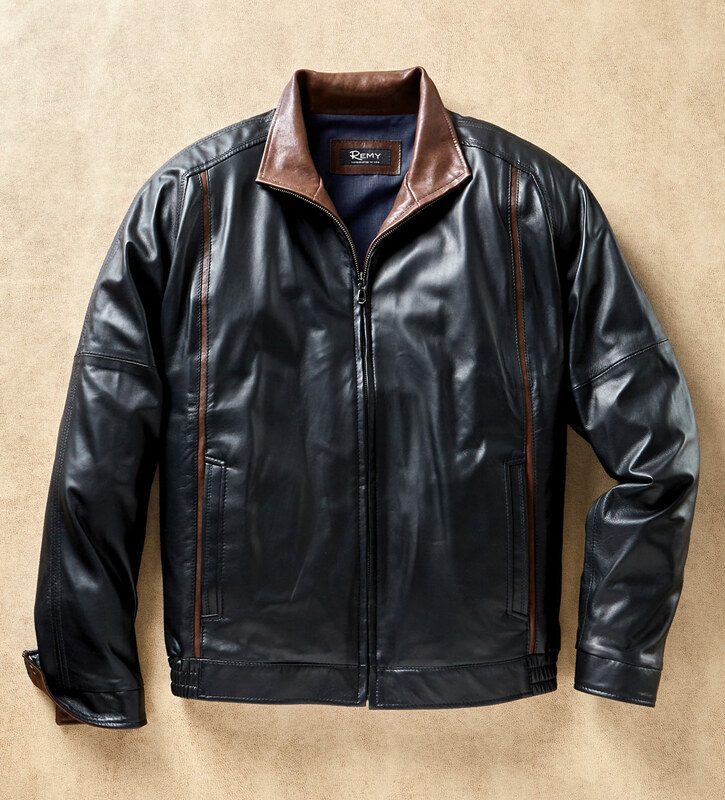 Handcrafted in the USA of the highest quality lambskin: buttery soft, smooth and lightweight. Zip front, stand-up collar, contrast detailing, welt pockets, snap cuffs, roomy blouson shoulders, side elastic waist, full lining. Professional leather clean.